sings "Jesus is a Miracle Man"! Donna was a great Blessing! Donna singing "Jesus is a Miracle Man"
and the Gift of Miracles! Rev Sheppard talks about the "Word of Knowledge and Miracles"! 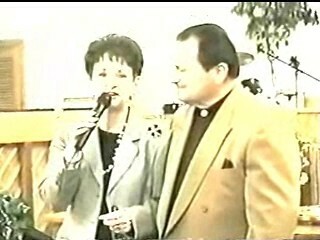 Pastors Wife Pat tells of the Miracle! One leg was 3 inches shorter, twisted. 2 years. God Delivered her in seconds! Jesus is a Miracle Man! Healing of a Short Leg!